(n) the tendency to not start anything until you’ve had a cup of coffee. If coffee is the magic concoction that gets you up in the morning, then join the club baby! 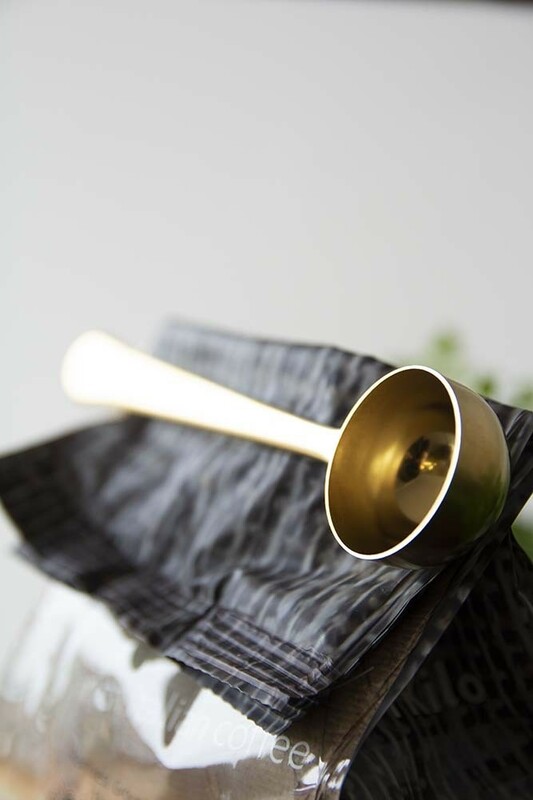 We love coffee at RSG and quite frankly couldn’t go a day without it and so you can imagine our delight when we came across this handy coffee kitchen accessory! 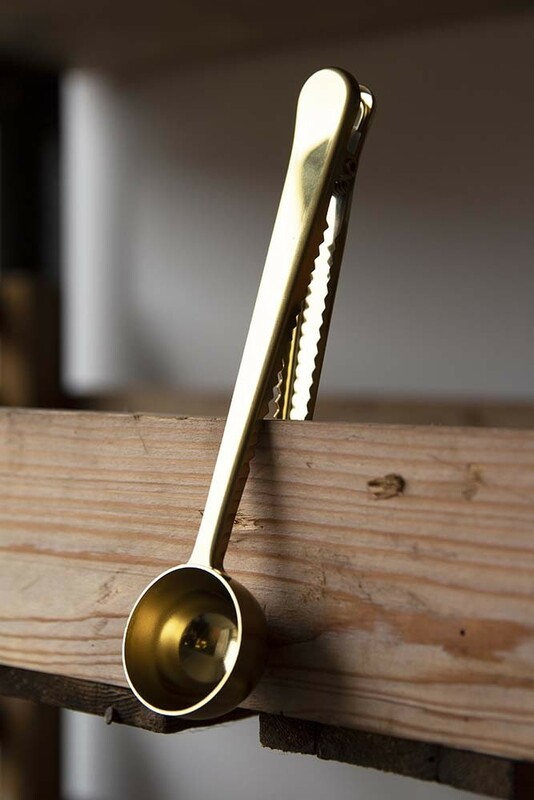 A fabulous kitchen accessory the Brass Finish Coffee Scoop With Clip will help you perfectly measure out your favourite measure of ground coffee or coffee beans. 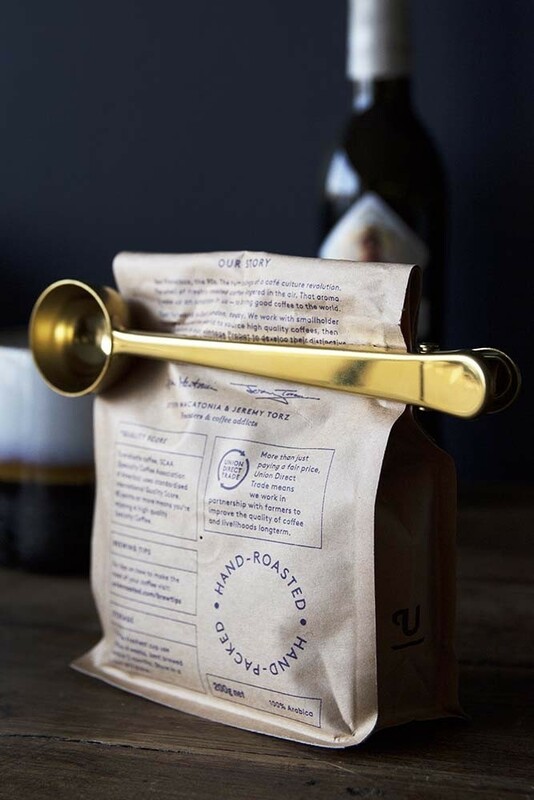 Even better, the Brass Finish Coffee Scoop comes with a crocodile clip so that you can seal your coffee bag up in between uses to keep it extra fresh … how genius is that?! 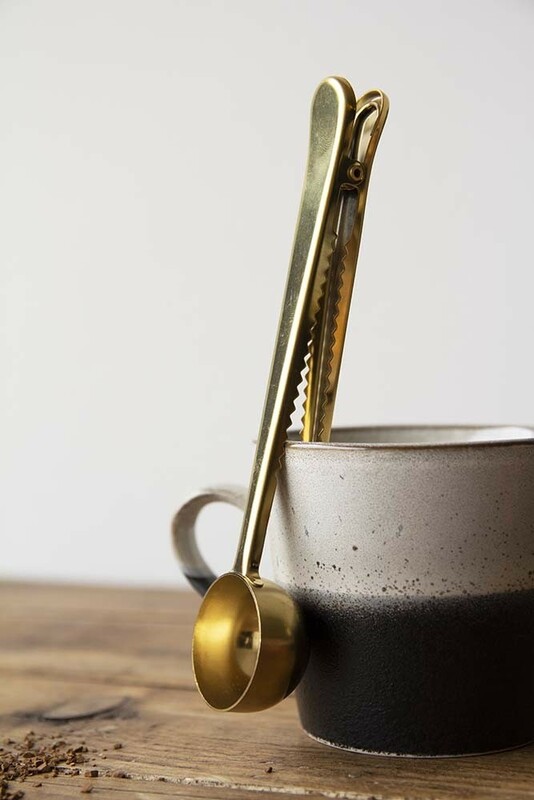 Perfect for all you caffeine addicts out there, we think that the Brass Finish Coffee Scoop With Clip is a thoughtful and unique gift option for coffee lovers everywhere. 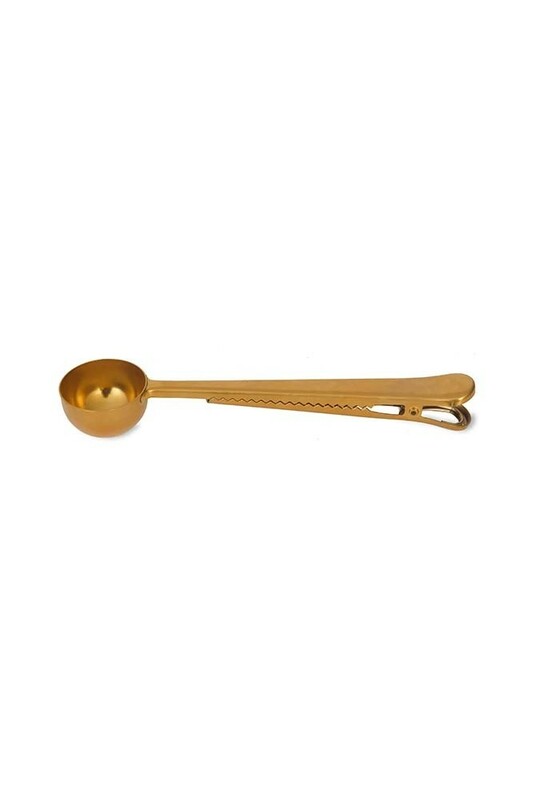 Not dishwasher safe, wash with warm soapy water. Comes in a Kraft printed book-style box.